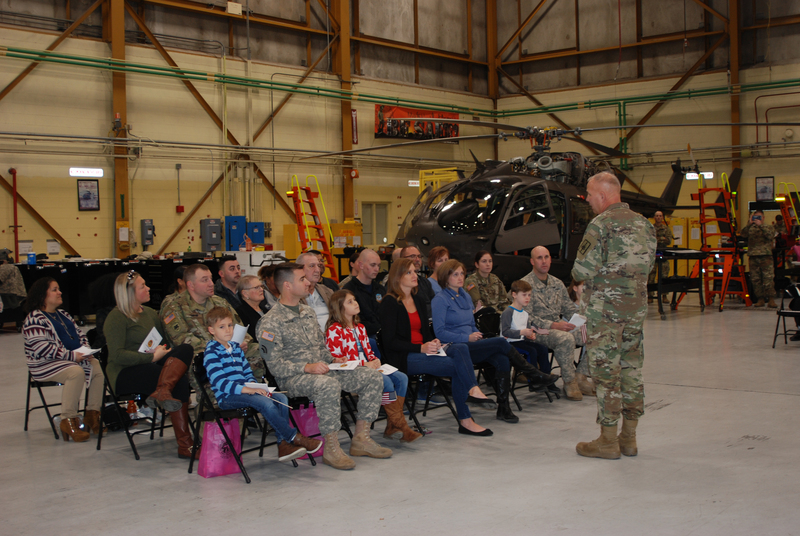 LATHAM--Maj. Gen. Ray Shields Adjutant General of the New York National Guard speaks to Soldiers from Detachment 5 Company C of the 2nd Battalion 245th Aviation Regiment and their family at their farewell ceremony on Wednesday November 14 2018 at the Army Aviation Flight Facility at Albany International Airport. The detachments Soldiers will depart Latham this week for Fort Bliss. They are expected to depart for Kuwait by the end of November.